Mike started his drumming career at the age of 6 with the pots and pans in the kitchen. His Grandfather gave him his first drum kit at age 9. There was no stopping him now! 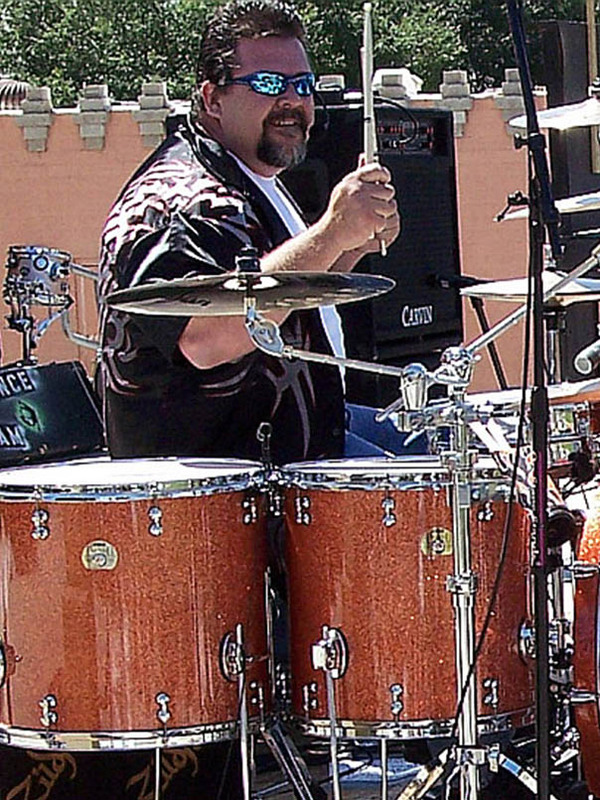 Mike grew up in southern California, learning the basics in school marching band, jazz band, and rock combo along with working with teachers such as Steve Martinez and Bernie Dresel. Mike has done lots of studio work, including not just drumming for The Deadbeat Daddies, but also engineering their debut CD "The Deadbeat Daddies". Mike says " I've tried many different brands of drums, but could never get the tonal qualities I was looking for until I played Peace drums. They sound fantastic!"